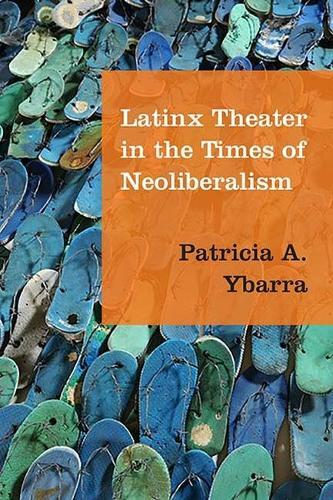 Latinx Theater in the Times of Neoliberalism traces how Latinx theater in the United States has engaged with the policies, procedures, and outcomes of neoliberal economics in the Americas from the 1970s to the present. Patricia Ybarra examines IMF interventions, NAFTA, shifts in immigration policy, the escalation of border industrialization initiatives, and austerity programs. She demonstrates how these policies have created the conditions for many of the most tumultuous events in the Americas in the last forty years, including dictatorships in the Southern Cone; the 1994 Cuban Rafter Crisis; femicides in Juarez, Mexico; the Zapatista uprising in Chiapas, Mexico; and the rise of narcotrafficking as a violent and vigorous global business throughout the Americas. Latinx artists have responded to these crises by writing and developing innovative theatrical modes of representation about neoliberalism. Ybarra analyzes the work of playwrights Maria Irene Fornes, Cherrie Moraga, Michael John Garces, Caridad Svich, Quiara Alegria Hudes, Victor Cazares, Jorge Ignacio Cortinas, Tanya Saracho, and Octavio Solis. In addressing histories of oppression in their home countries, these playwrights have newly imagined affective political and economic ties in the Americas. They also have rethought the hallmark movements of Latino politics in the United States-cultural nationalism, third world solidarity, multiculturalism-and their many discontents.